Whether you’re looking for a romantic cabin getaway, a way to celebrate a special occasion, or just a great deal, we’ve got something for you to make the most of your getaway. 3 nights in one of our 1 bedroom log cabins (dbl occupancy) with a wood-burning stove and whirlpool tub. 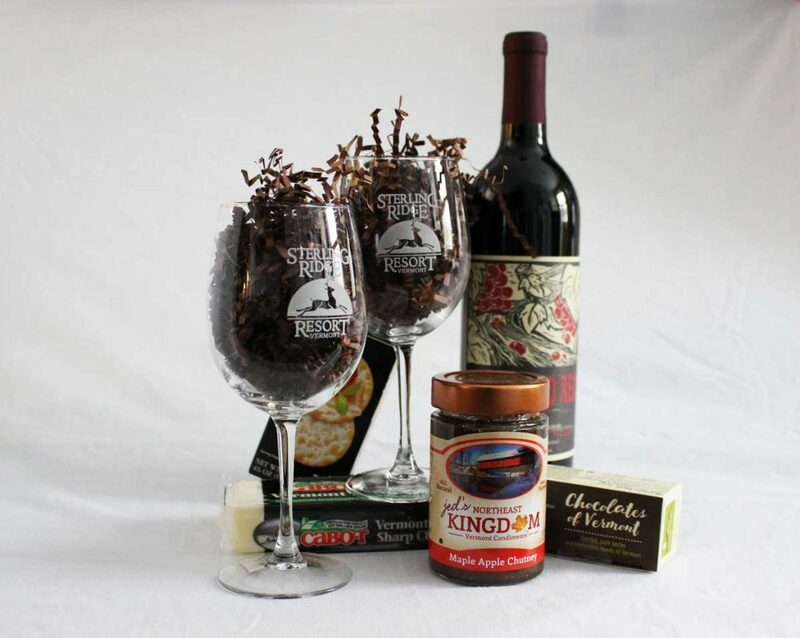 Discounted nightly rate plus complimentary wine basket. Not valid during holidays. Cannot be combined with any other discounts, specials or packages. A two-night package in a 1 or 2 bedroom log cabin at a discounted rate plus a complimentary Breakfast Goodies Basket. Available midweek only (Sun-Thurs nights). Not valid during holidays. Cannot be combined with other discounts, specials or packages. Join us Sunday – Thursday and enjoy mid-week savings. Mid-week offer good until May 23, 2019. Don’t break the bank on your spring break this April! 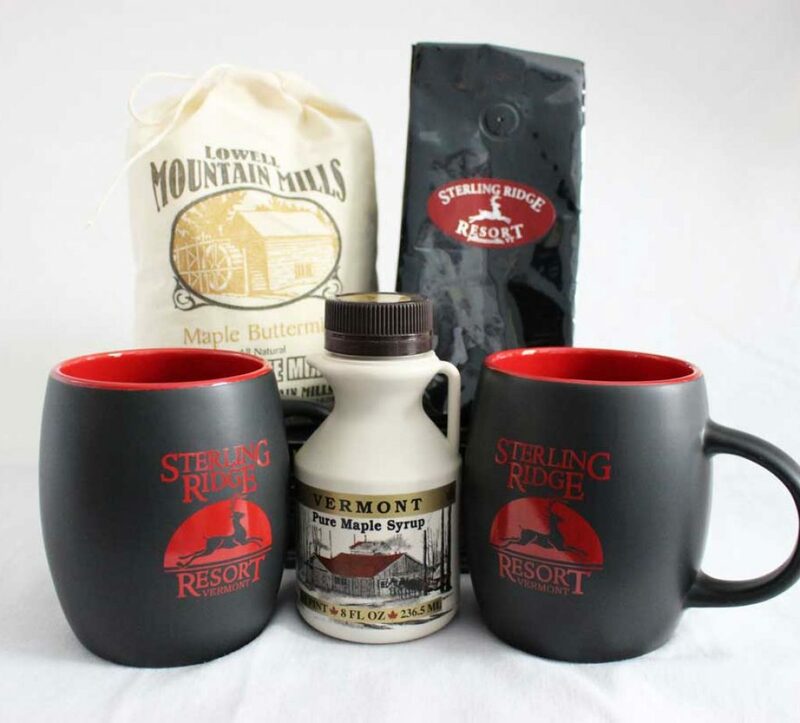 Stay 4/12 through 4/28 and receive 15% off nightly rate plus $50 gift card for the FunZone 2.0 at Smugglers Notch. 2-night minimum. Excludes 1 bedroom cabins & studios, cannot be combined with any other discounts or specials. 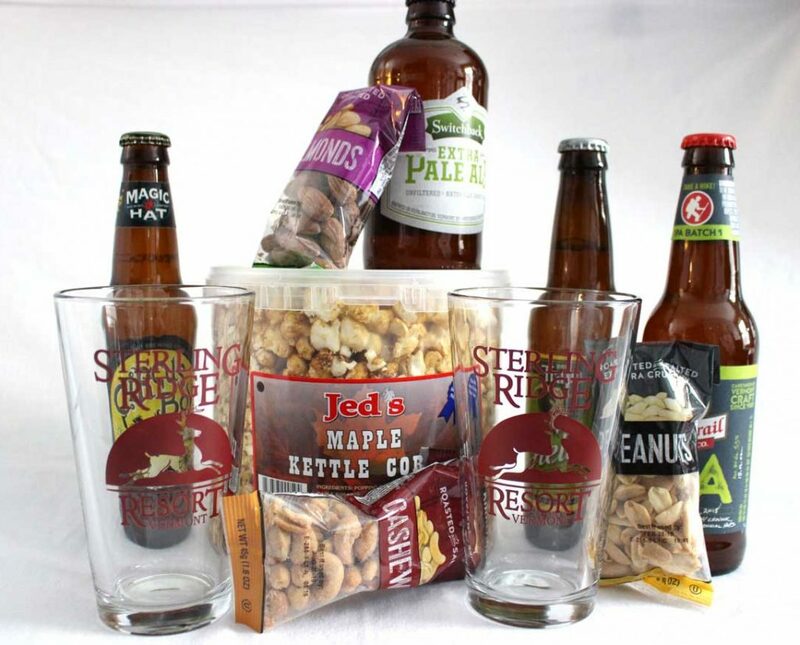 Specialty Baskets are a wonderful way to help celebrate a special occasion. 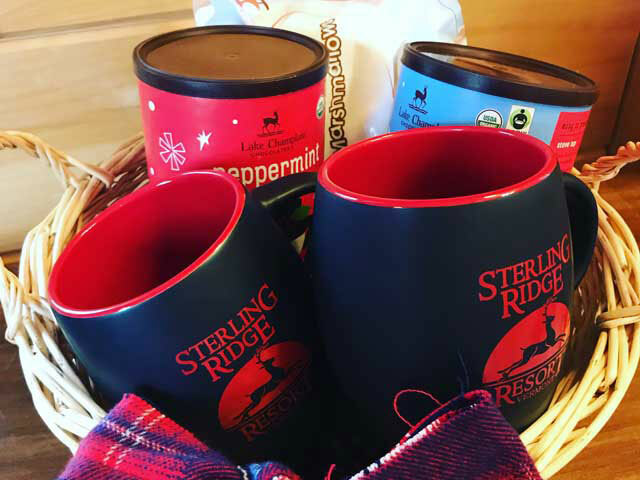 Baskets feature many delicious, local Vermont goodies that will be waiting in your cabin for your arrival. Make your night even cozier. Add flowers to your reservation to make your getaway even more special. 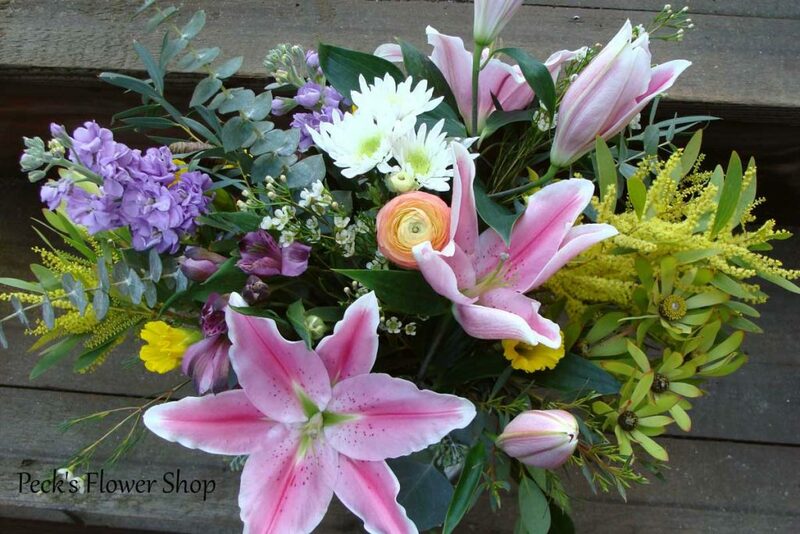 Peck’s flower shop in Morrisville can make that special moment perfect.